Despite A-G claim that national service ban to far-left NGOs is 'illegal,' Uri Ariel determined not to fund groups working against Israel. 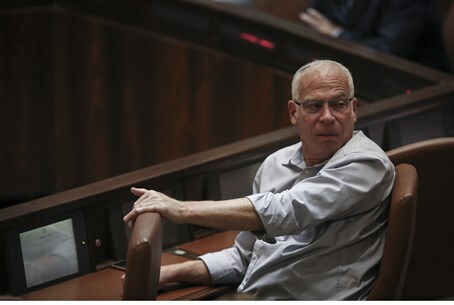 Agriculture Minister Uri Ariel (Jewish Home) refused on Thursday to accept criticism of his decision to ban far-left NGOs from receiving national service assistance. Writing on Facebook, Ariel stressed he would not allow a situation in which the country continues to provide state-funded national service volunteers to organizations working against Israel. Ariel was directly responding to Deputy Attorney General Dina Zilber, who argued Thursday morning that Ariel's decision to withhold services from B'Tselem and the Association for Civil Rights in Israel (ACRI) is illegal. "The letter from Deputy Attorney General Dina Zilber in reference to my decision to cancel national service positions to organizations acting against the state of Israel is neither new nor surprising," Ariel slammed. "I suggest that [left-wing Meretz] MK Tamar Zandberg and company don't celebrate too much. I am determined not to allow the financing of national service positions to extremist organizations operating against Israel and its soldiers." "In the coming days I will work to define new criteria to regulate the matter as required and will help to prevent any legal acrobatics that try to get around that," the minister stressed. "The State of Israel will not fund those who work against it - pure and simple."